A while ago, I showed off some squishy mail that came from Quilt Sandwiched Fabrics, and I wanted to introduce them a bit more. Becca and Kris started quilting about 15 years ago and now Becca says all of her sisters are obsessed with quilting and fabric. Some of their big fabric inspirations have been Kaffe Fassett, Amy Butler, and Denyse Schmidt. The sisters talked about how fun it would be to have a fabric store. 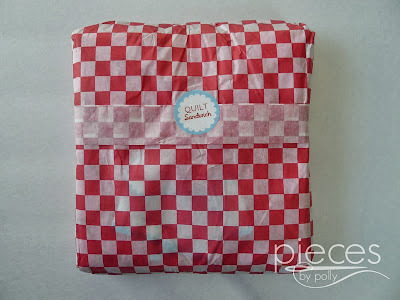 An online fabric shop seemed perfect since they had young children at home, so they started Quilt Sandwich Fabrics as an Etsy shop back in 2008. Their business has been growing so much, they recently moved into their own website quiltsandwichfabrics.com. 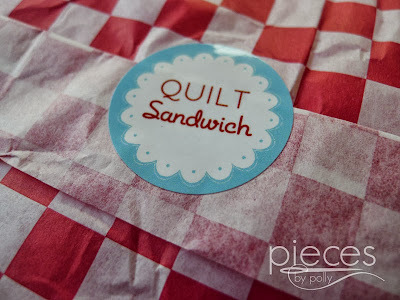 The name Quilt Sandwich Fabrics is perfect because of course quilts are basically a sandwich, and Kris also loves to cook. They dream someday of having a a quilt shop with a restaurant attached (delicious food and fabric...I would never leave!). You'll also find when you order fabric from them, that they wrap your fabric up in adorable checked tissue paper, so it looks exactly like a wrapped up deli sandwich. They stay up to date on blogs and the latest quilting trends, so they can offer the great fabrics. They have excellent customer service with fast turn around times. Becca says, "Some of our favorite designers are Tula Pink, Anna Maria Horner, Heather Ross, Kaffe Fassett, Amy Butler, Denyse Schmidt, and prints from Alexander Henry and Michael Miller. 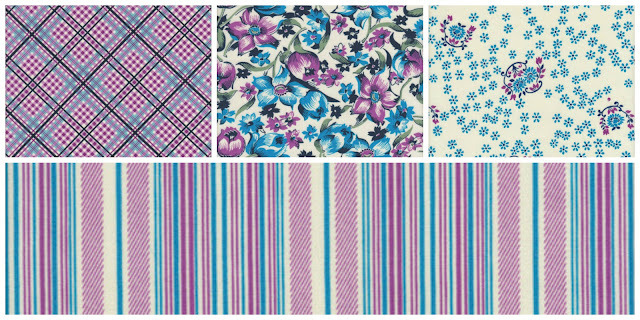 We look for fabrics that have something interesting about them - a cool graphic, a retro feel or just something funky. We usually like the same things so that makes choosing what to buy a little easier!" You're going to love the selection at Quilt Sandwich Fabrics. 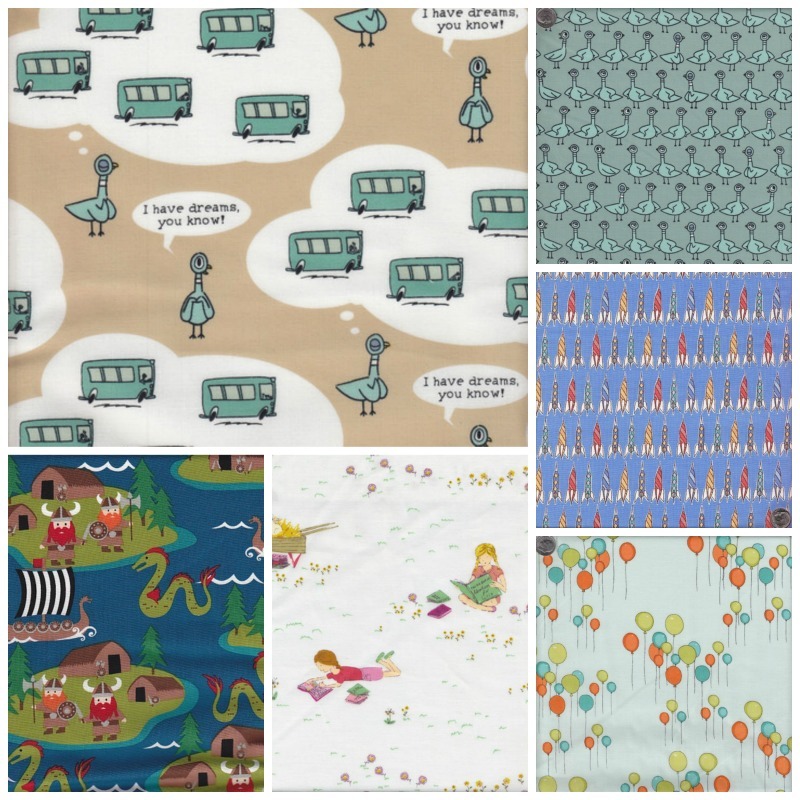 There's really no way to do their selection justice in a few snapshots, but here are some fabrics that caught my eye. 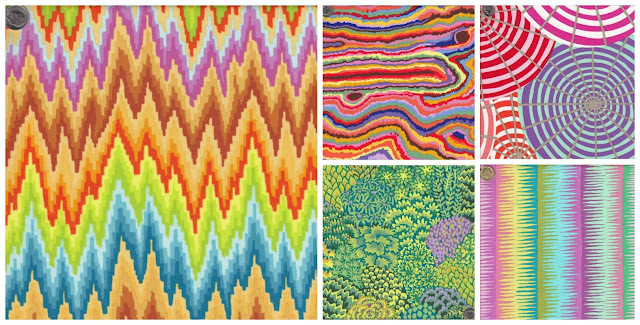 I can see why Kaffe Fassett was one of Becca's first fabric loves. These colors are amazing. You can see their Kaffe Fasset Fabrics here. And I'm loving all these purple and blues in Denyse Schmidt's Shelburne Falls line. And of course I had to show you some of my favorite children's fabrics. They have SO many to choose from. I think some of that Mo Willems Pigeon fabric is going to have to find it's way to our house for Christmas. They're perfect for all sorts of projects...and be sure to keep an eye out for a giveaway coming from them soon.